It sounded like such a good idea at the time. It was 2009, the nation was in the middle of the Great Recession, the housing market was taking a serious blow, and Janet Summers* decided she needed a little protection from life's big changes. Her husband still had work renovating homes in the Charlotte, N.C., area, and Summers had a job, too. But when a nice woman called from Sears to ask if Summers would like to sign up for an insurance policy on her Sears credit card, it sounded like a good precaution to take. And at about $80 a month, it seemed like a reasonable expense. The caller said the insurance "would cover my balance up to $10,000.00 in case I lost my job, had to take care of a family member, or my husband became unemployed and I was the only one working," Summers said in a recent email. "So I took out the insurance believing that this is a good deal." Over the next three years, Summers paid Sears $3,000 for the insurance. Even in the midst of the recession, her husband's company continued to profit, as many people who had planned to buy new homes decided instead to renovate the ones they already owned. Then, this March, her husband lost his job. The financial impact hit immediately. "It was booming there for a while, and all of a sudden it just stopped," Summers writes. "And that's when I had to use my credit card to pay some bills, buy groceries, gas for my car and buy his medication, etc." Immediately, Summers thought of her credit card insurance plan, which was pitched to her as a partial solution to exactly this problem. In most cases, such insurance will cover the cardholder's minimum monthly credit card payments, for a limited time, after certain events such as unemployment, handicap or a wedding, explains Gerri Detweiler, Credit.com's consumer credit expert. But when Summers tried to claim her insurance, Sears hit her with a nasty surprise, she says. "They said it does not cover construction workers," Summers says. Without that coverage, Summers and her husband are on a payment plan, paying $184 a month toward their Sears card debt. They can't really afford it, however. And Sears refuses to refund Summers the $3,000 she spent over the last three years paying for insurance that didn't actually cover her. "I'm having to borrow money from people to put gas in my car and buy stuff to make sandwiches with," Summers says. "I don't have any money to live on." 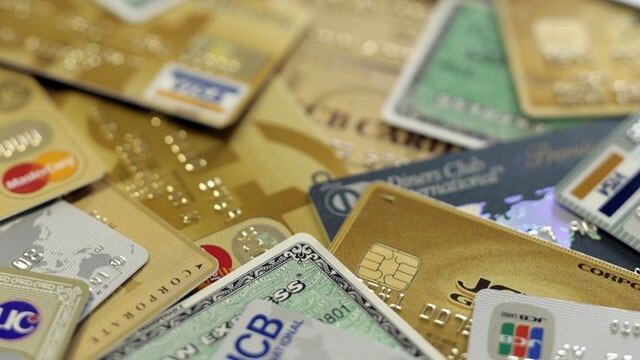 Many consumers report experiencing similar problems with credit card-based insurance programs. According to a study last year by the Government Accountability Office, such insurance is often expensive, and the terms confusing. "These products can be difficult for consumers to understand, but federal agencies offer few educational resources to aid consumers in assessing them," according to the report, and "cardholders received 21 cents in tangible financial benefits for every dollar spent" on fees for such debt protection plans. "These programs are under fire because they often aren't great deals for consumers, even if [the programs] do pay out," says Gerri Detweiler, Credit.com's consumer credit expert. Even if Sears did agree to cover the minimum monthly payments, interest would still continue to accrue on the principal, Detweiler points out. So even while it would give Summers a break in the short run, it actually would cost her more over time given all the extra money she would be paying in interest charges. In Denial About Your Debts?